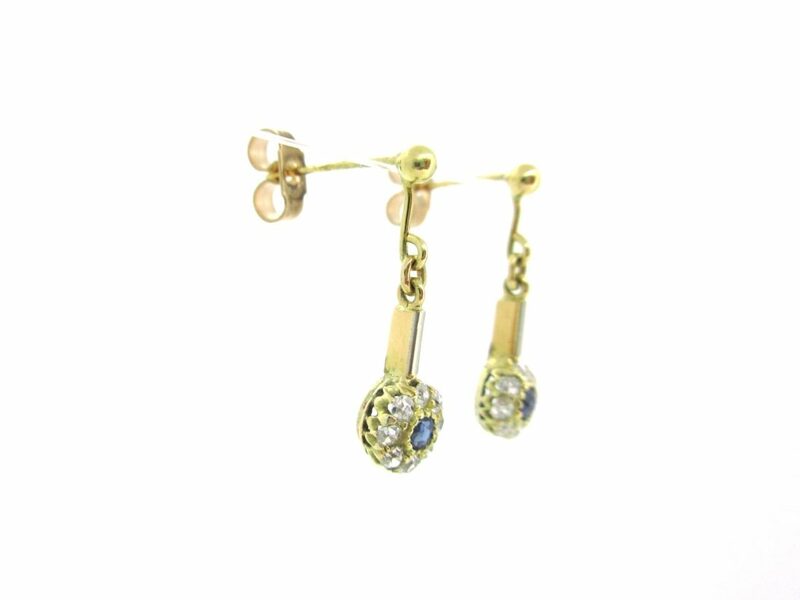 A beautiful pair of drop earrings. 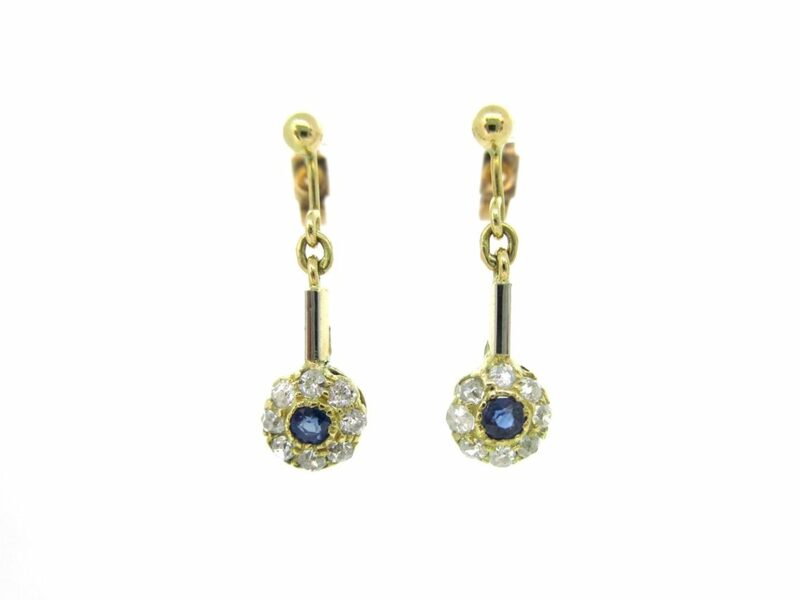 Two good colour round cut sapphires set in a diamond surround with a drop of approx 20mm. 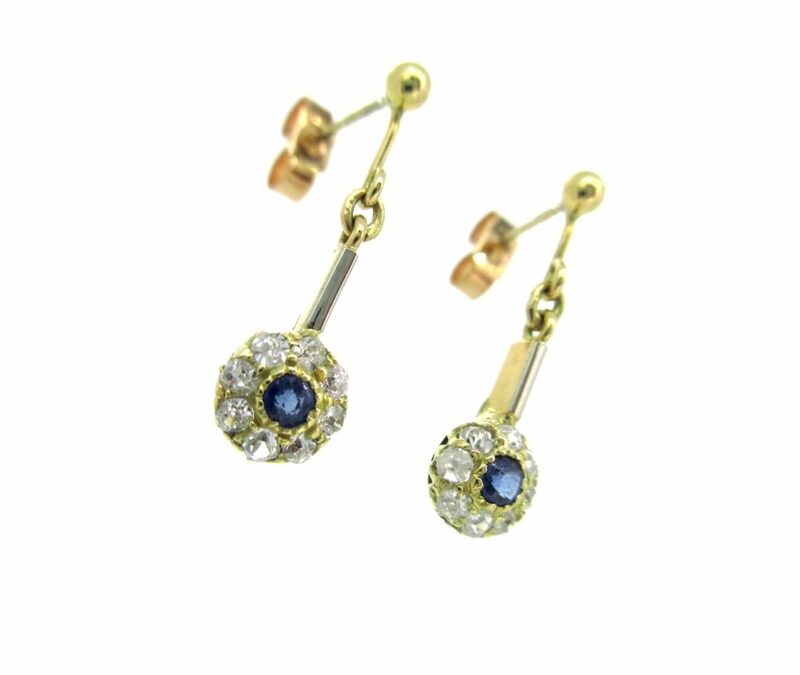 Set in 18ct gold. Pre-owned.